The meeting began with Sensei Malathi requesting a minute’s silence in honour of our late Chief Minister Selvi Jayalalithaa and noted that she had been a strong person and capable leader. 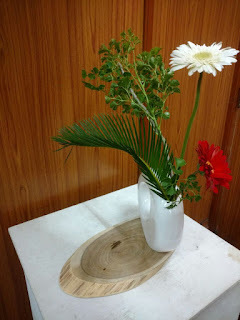 It has been a difficult month for Chennai, what with the CM's demise being followed by the devastation of Chennai's green cover by cyclone Vardah which caused so many of the city's old and loved trees to be uprooted. 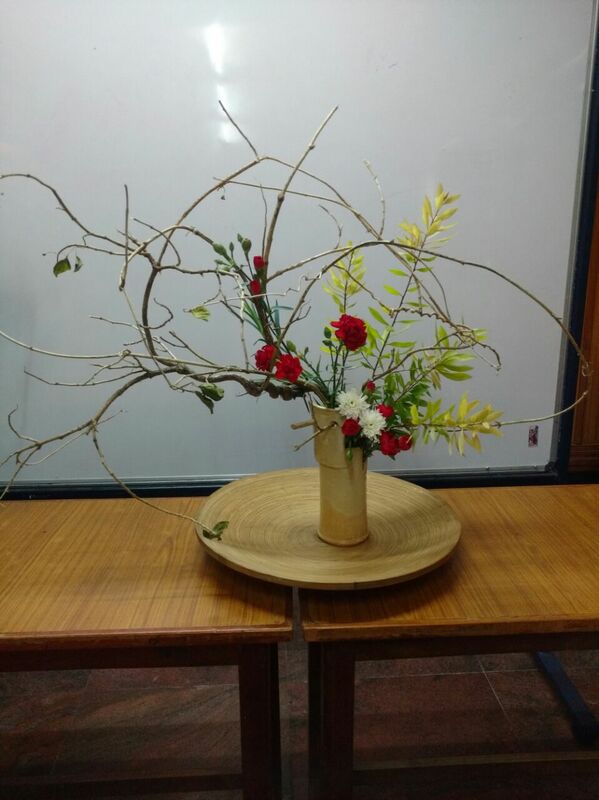 So it was with relief to look to our Ikebana to change the mood and welcome the festive season. 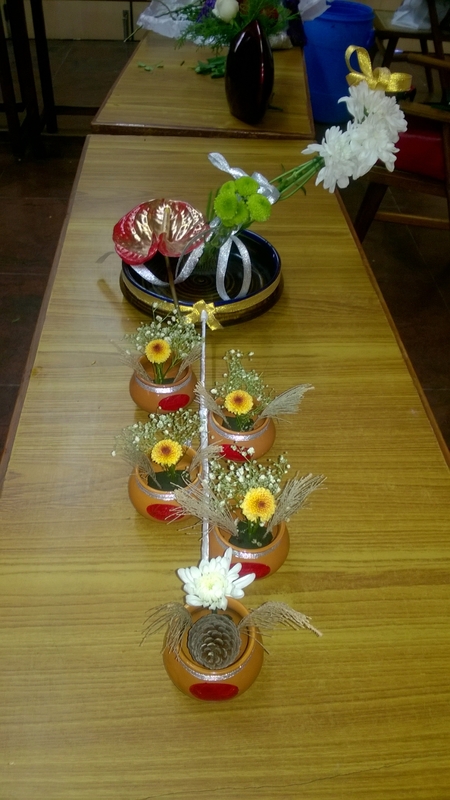 Some members arrived late due to heavy traffic and were welcomed by an array of colourful arrangements. 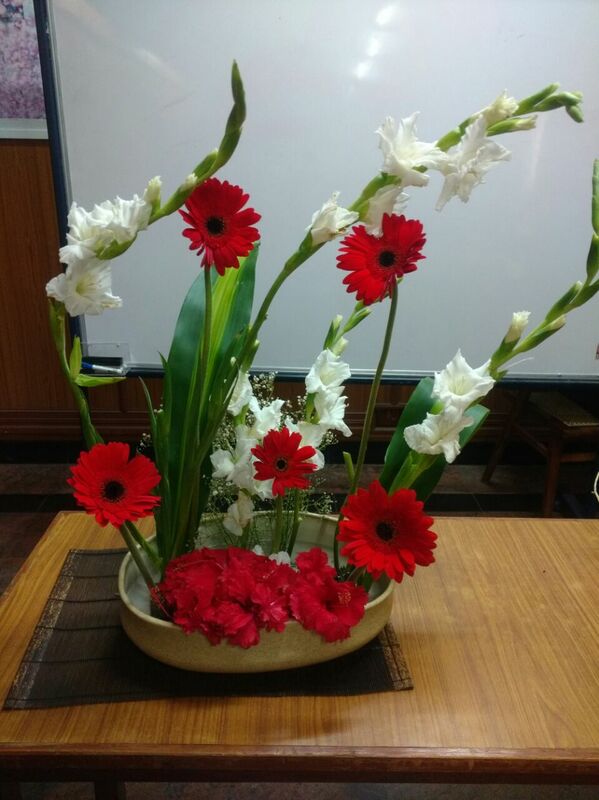 They lost no time in getting down to business and completing their work. 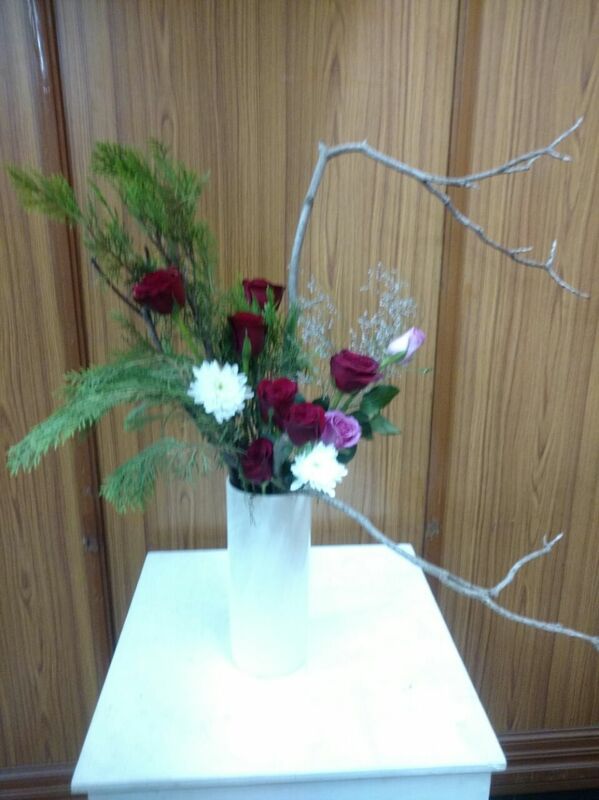 “Tis the season to be jolly”…yes, Christmas is round the corner and what better way to end the year! 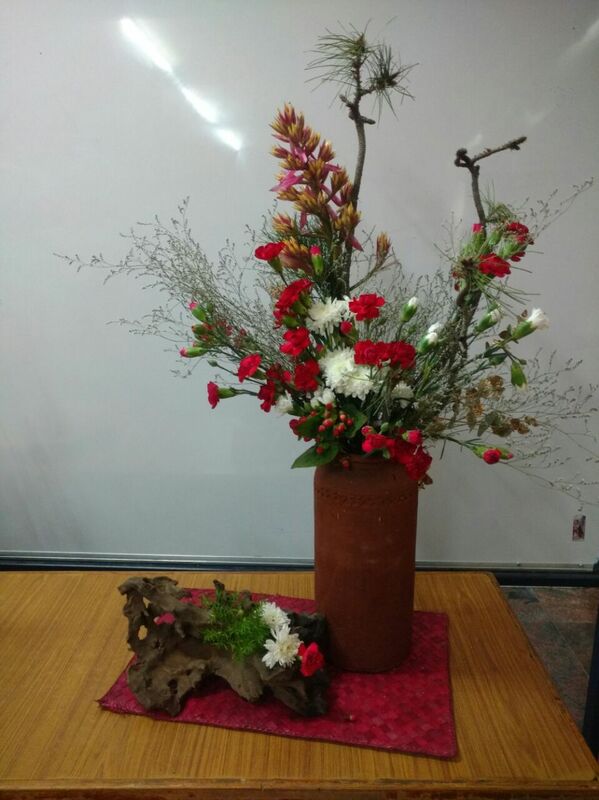 The theme of the last workshop of 2016 was Christmas as a celebration or as an art, using the festive colours of red, white and green. 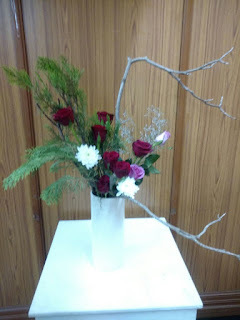 14 members were present and there was a true festive air. 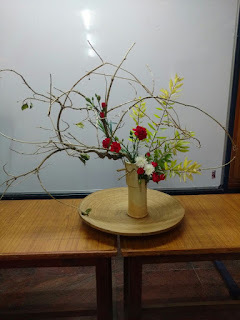 Sensei Dally Verghese began the session with her arrangements and later spoke briefly about her experience with Ikebana. Always preferring to work quietly in the background, she had never imagined talking in front of a gathering. She acknowledged that learning Ikebana from Mrs. Malathi had enabled her not only to learn the art form but to overcome her inhibitions and address the group. 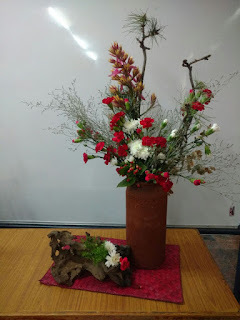 Sensei Dally displayed three very creative pieces-- the first was a burst of colour in a brick red nagiere vase with pine, red carnations and white chrysanthemums in abundance. 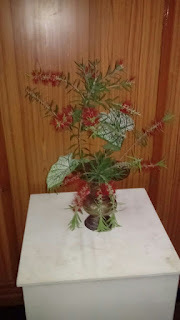 The second piece was a beige wooden base and vase, red and white flowers and bottlebrush leaves. 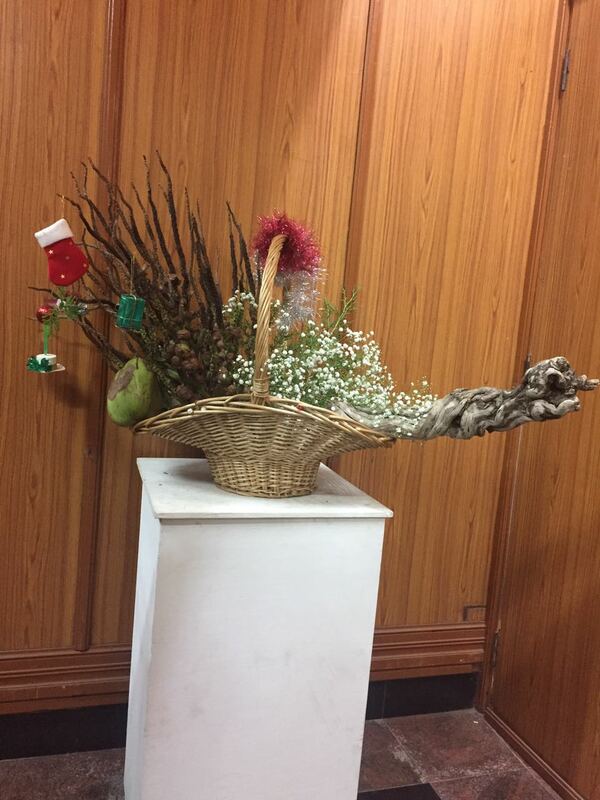 The highlight was an elegant curved branch which Dally said she picked up from the IIT campus after the cyclone. It was a fitting tribute to Chennai’s spirit of survival in the face of crisis. Sensei Malathi pointed out Dally’s innate aesthetic sense and eye for beauty and said this arrangement was beautifully coordinated in terms of the colours of materials used. 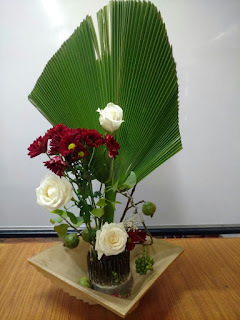 The tender green leaves showed hope, she added. 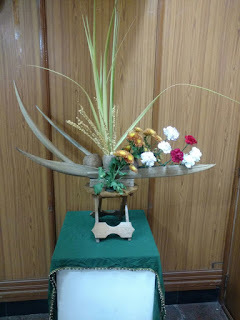 that Dally said she found in a nursery and appealed to her. 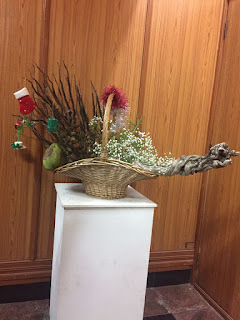 It was time for the workshop, and the members' interpretation of Christmas was innovative and exuberant. 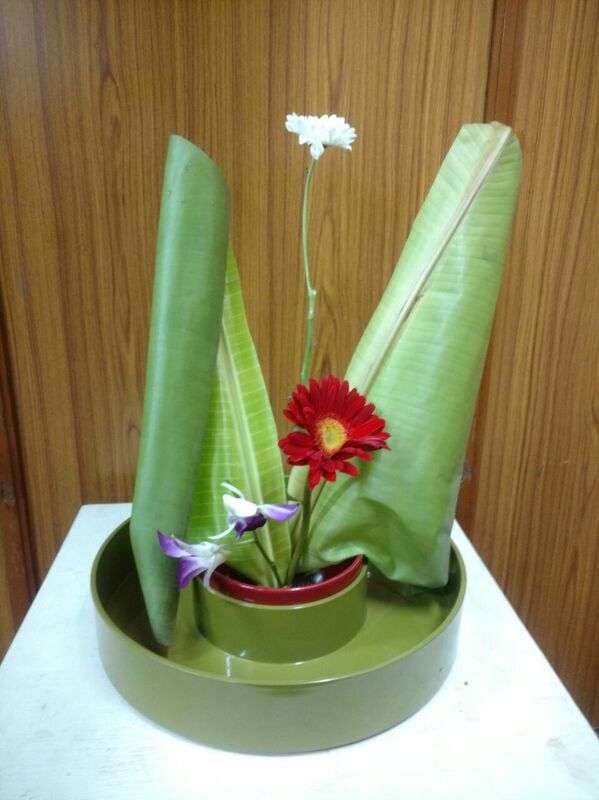 Prerana has used the banana leaf surface to advantage. Sensei Janaki's piece says: "We are ready to hit the dance floorand start the party! 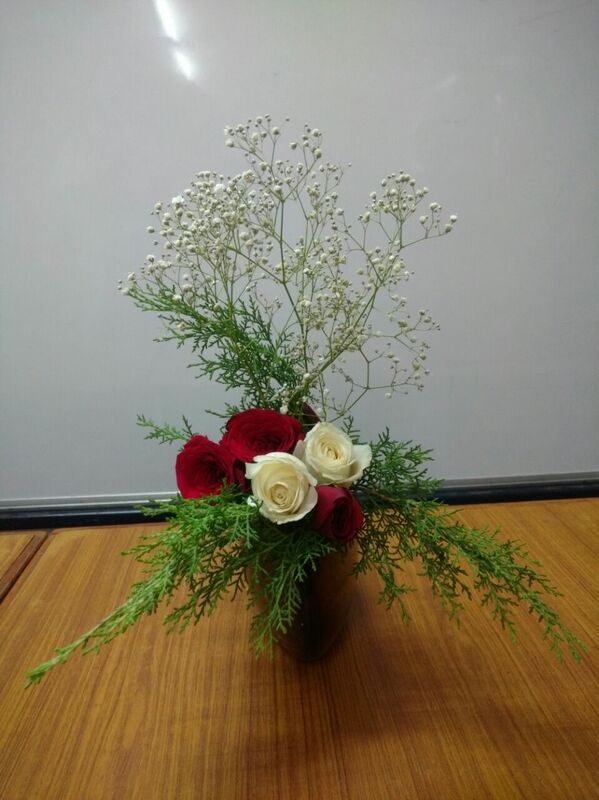 The workshop ended on a happy note, with Christmas and New Year wishes and holiday greetings, a promise of many more exciting meetings in 2017. The celebratory arrangement done by Malathi sensei on Dec 1st, on the occasion of the Emperor's birthday. 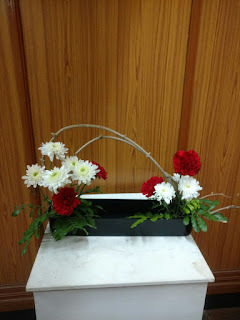 Chrysanthemums, so dear to the Japanese, are combined with Ixora, in a traditional Indian urali. 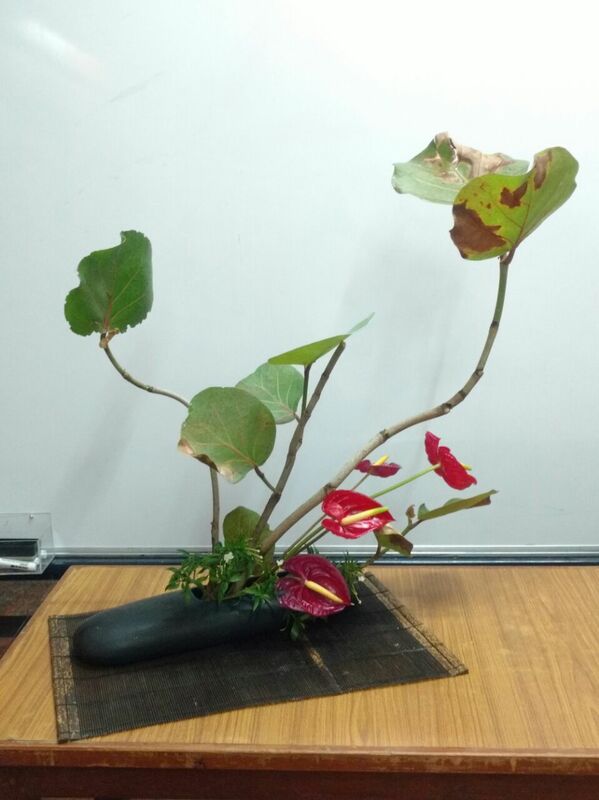 She was assisted by sensei Prerana.